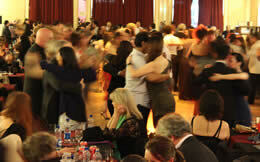 We’ve just come back from Buenos Aires and thought we’d share our love of the tango capital milongas. If you’ve never been to Buenos Aires, take heart, a tango trip can happen sooner than you think! Why is Los Zucca on our milonga tour map? A beautiful venue, set in the mythical Centro Región Leonesa in the heart of San Telmo, Los Zucca used to operate under the name Niño Bien. Niño Bien closed in 2013 and reopened a year later under the management of the friendly Magdalena and Roberto (los Zucca). Los Zucca is the right place to boast your new outfit or your new shoes. Appropriate knowledge of the basic milonga etiquette is more than preferable. As you enter the building, you’ll find a grand entrance and stunning staircase, leading you to a beautiful dance salon upstairs. If you’re hungry, don’t miss out on their empanadas. I’ve tried many empanadas in Argentina, and they are amongst the best I’ve ever had. In 1998, the Centro Región Leonesa started to host a Thursday night milonga, organised by Luis Calvo. 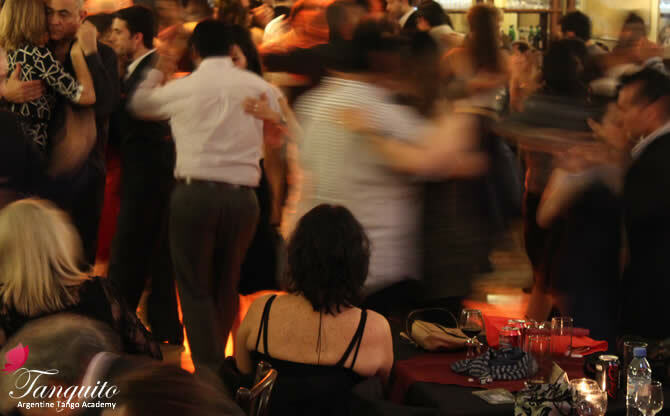 The milonga was very popular at first and then became one of the casualties of the worldwide economic crisis – fewer tourists visiting Buenos Aires with fewer tango dollars led the milonga to close in 2013. Luckily, the milonga reopened a year later, under the management of the adorable Roberto and Magdalena, who just know how to throw a party. They’ve created a wonderful and friendly atmosphere. The impeccable DJing, inspiring performances by World champions or other high caliber dancers, combined with a very high quality wooden dance floor means Los Zucca is now, once again, definitely the place to be on a Thursday night. Dress up a bit. Think smart casual at least. Jeans better avoided. Make a reservation and ask for a table close to the dancefloor. This will increase your chances of successful cabeceo.